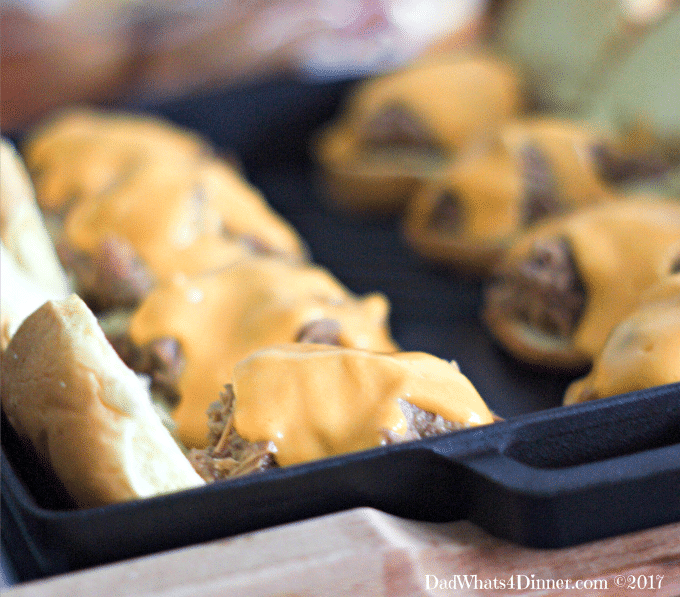 Beer Braised Shredded Beef Sliders are the best non-traditional slider you will ever have. 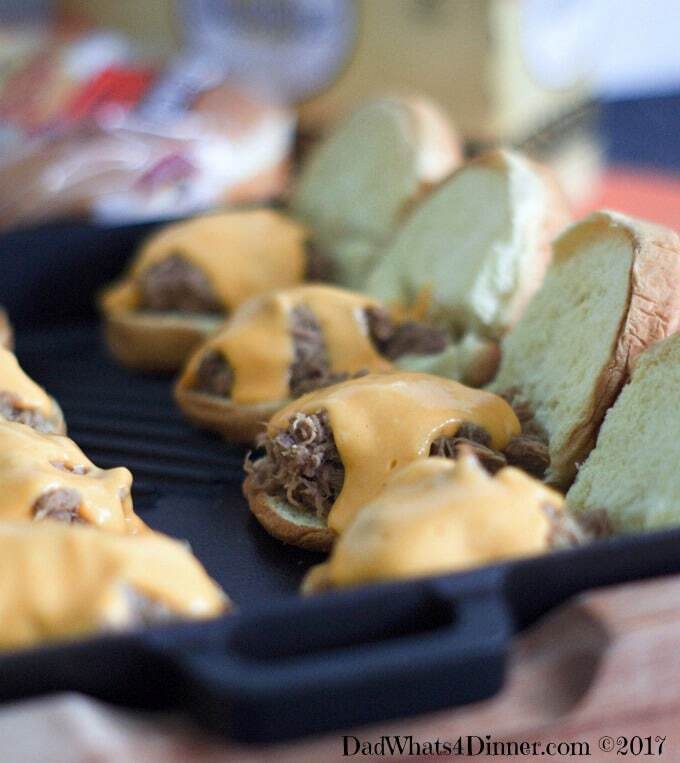 Slow cooked beef, beer cheese, caramelized onions on a Pepperidge Farm® soft slider bun. 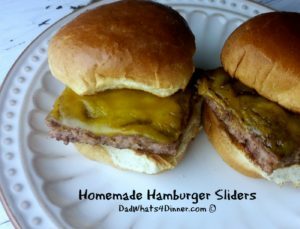 I am the King of the Slider and have created many new varieties over the years. 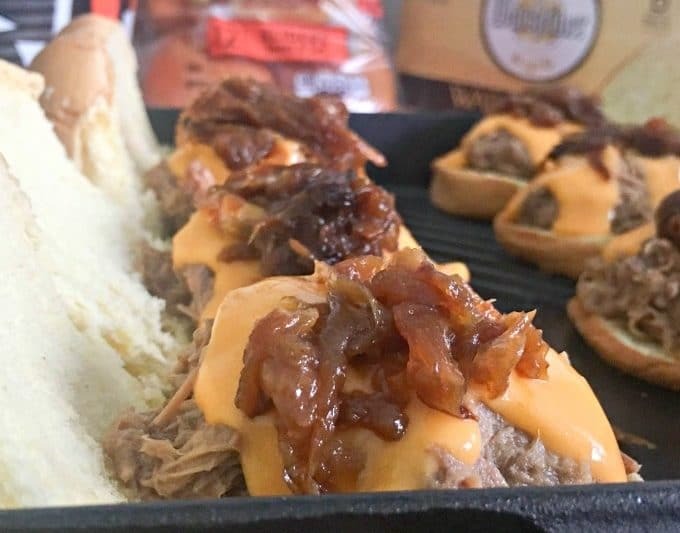 For the playoffs, I came up these Beer Braised Shredded Beef Sliders which includes all my favorite ingredients: beef, cheese, beer and Pepperidge Farm® buns. 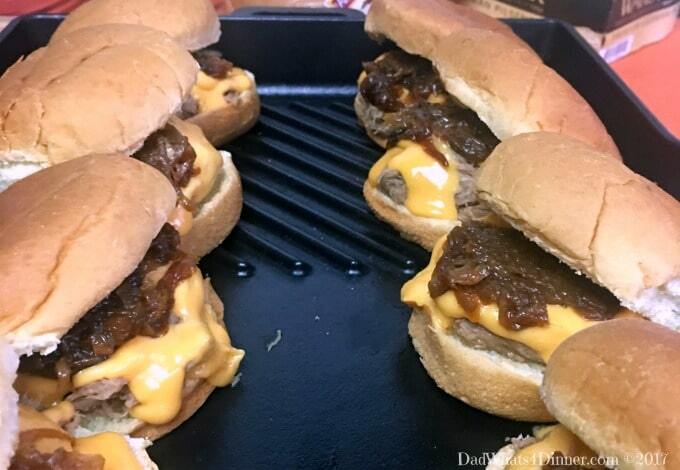 My new slider consists of slow cooked beef, topped with beer cheese and beer infused caramelized onions. The best part is you can make all parts of the slider the day before your party. I was at my local Kroger, I am usually there every other day, picking up all my supplies to make my Beer Braised Shredded Beef Sliders and the rest of my watch party supplies. 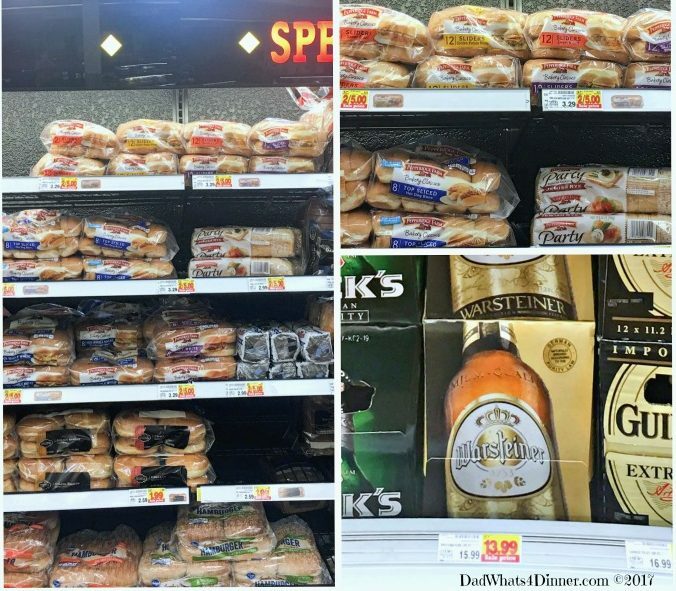 You can pick up all of your Game Day Greats like these Pepperidge Farm® buns paired with a nice Warsteiner, or your favorite pilsner-style beer, at your local Kroger. Kroger has created a Game Day Greats site to help you plan your party with coupons and discounts on these great products. While beef cooks make the beer cheese sauce and caramelized onions. On game day, re-heat the shredded beef in a two-quart slow cooker. Heat the beer cheese sauce in another small slow cooker. Set out the caramelized onions and the Pepperidge Farm® buns and let your guests make their Beer Braised Shredded Beef Sliders throughout the day. Add a cooler full of beer and you are ready to relax and watch the games. Now if that doesn’t say Game Day Greats I don’t know what does. 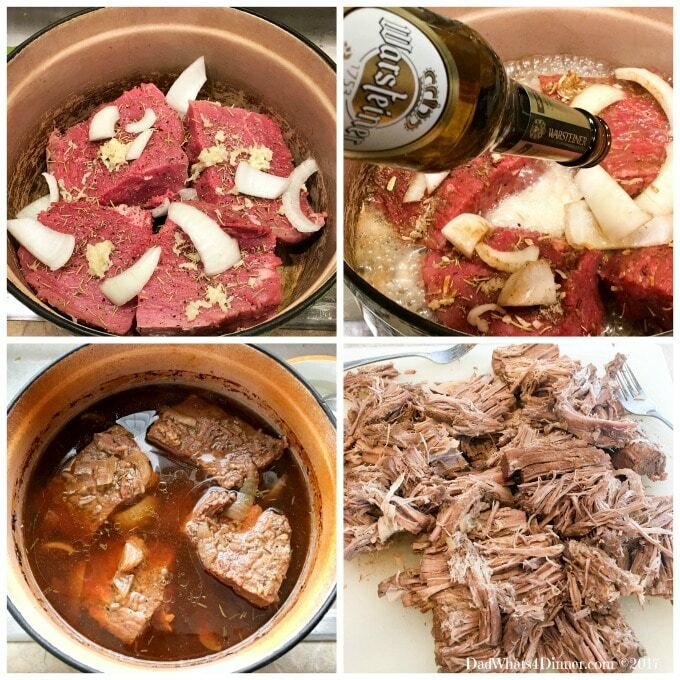 In a large Dutch oven, combine beef, onion soup mix, onions, garlic, oregano, rosemary, beer, and broth. Cover and cook until beef is tender and can be pulled apart with a fork, 5 to 6 hours. Shred beef with two forks. Discard fat. Moisten beef with 1 cup cooking liquid. Remove pan from the heat and whisk in 2 tablespoons of the milk until smooth. Whisk in 2 more tablespoons. Continue whisking in a 1/4 cup of the milk at a time until smooth. Stir in the beer, Dijon mustard, salt, garlic powder and cayenne. Return the pan to medium heat and stir until thick and bubbling, about 2-3 minutes. Add cheese one cup at a time, whisking after each addition to melt it in. Melt oil and butter in a large heavy skillet, over medium heat. Add the onions and stir to coat. Stir in the salt, sugar and beer. and a pinch of salt. Let the onions cook slowly. Don’t rush them. Turn to make sure they are browning evenly. Continue stirring onions and if they stick to the bottom of the skillet add a little more beer to deglaze the pan. Continue stirring the onions until they have reached a dark caramel color. 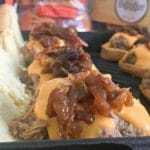 I will be bringing my Beer Braised Shredded Beef Sliders to Freedom Fridays, Friday Favorites, Fiesta Friday, Weekend Potluck, What’s Cooking Wednesdays. Checkout my Link Parties page for other great places to find new recipes. Mmmmm! These look so good! They’d be perfect for the crew coming to watch the playoffs this weekend! I know right! That is all I am posting this week is football food and then the roundup next week. I have to hope over and grab the link. Busy! Thanks for stopping by Carlee! Thanks David! 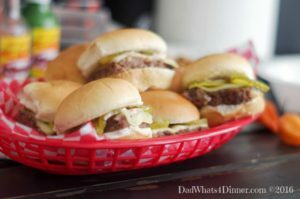 Sliders are the best for football watching! Yum! My boys would gobble this up! Can’t wait to give this a try. Thanks for sharing on Merry Monday. Pinned. Thanks Erlene! 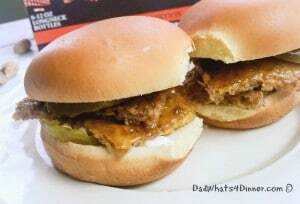 They are really good twist on a slider. Have a great week! Hi Suzette, I am sorry you are having trouble seeing the recipe. I checked the link and it is there toward the bottom of the page. Let me know if you are still having trouble.